A bursary fund report will be available for the AGM. A meeting of Bursary Trustees was held at Crypt School on October 16 2018 to provide an update on recent developments, the results of which are summarised. To date this year the number of active subscribers to the fund has increased from 92 to 94 together with 6 organisations. Gross assets increased from £63,931 at December 31 2017 to £66,593 at present. Allowing for deductions made for the 2018 student award scheme of £2,500 leaves a net balance of £64,093. Currently capital is held in two accounts: Virgin money £45,000; and CAF Bank £19,093. To improve interest it has been agreed to close the Virgin account and transfer to a Cambridge and Counties Charity Bank Bond yielding a fixed rate of 1.86% pa. The aim is to finance the annual students award scheme largely from income rather than deplete capital. The latest 2018 bursary awards distributed at school in June increased to 10 (£250ea) covering the 4 categories Academic; Art, Music, Drama; Travel; and Sport. For the future it was agreed to maintain 8-10 awards. Following an approach to Mr Rich Brooks current Treasurer of the OCC, we are pleased to announce that Rich has agreed to become Financial Examiner for the OCC Bursary Fund and will examine the 2017 accounts submitted by our Treasurer. We are anxious to recruit new subscribers to ensure continuation of the Bursary award scheme for the future. Information has been traditionally provided in the pages of the Cryptian. Efforts will be reinforced to publicise the Bursary on the OCC website. Richard Browning, as Chairman of the Bursary Fund Trustees, presented the latest report at the AGM of the Old Cryptians Club, held at Kingsholm on 12th March 2016. 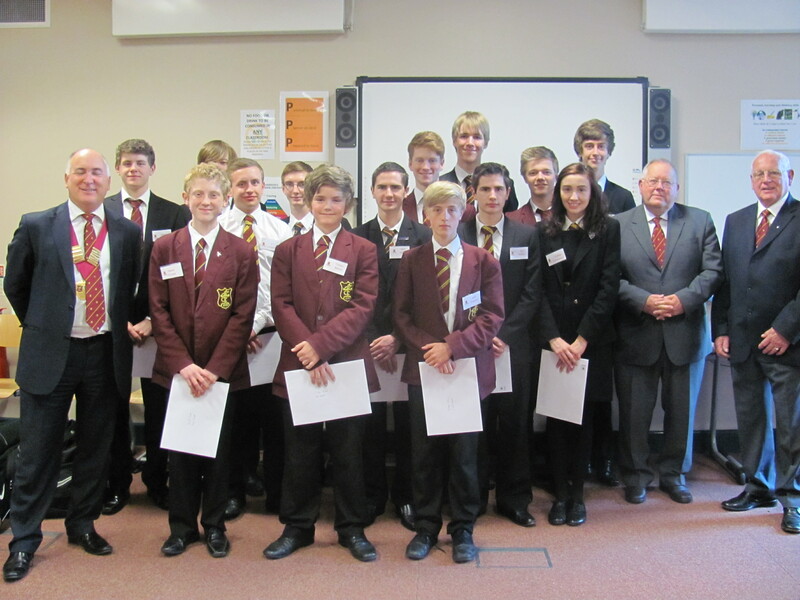 A lunch was organised recently for the recipients in 2013 of the Old Cryptians’ Bursary Scheme. 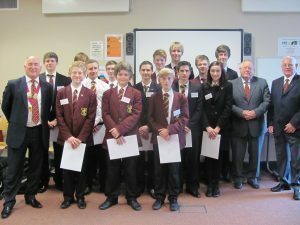 The fortunate pupils are selected jointly by the Headmaster and the Trustees of the Scheme. I am delighted to report that we will pass our target of £50k for the Bursary in this year, which is a key milestone in the development of the Fund.